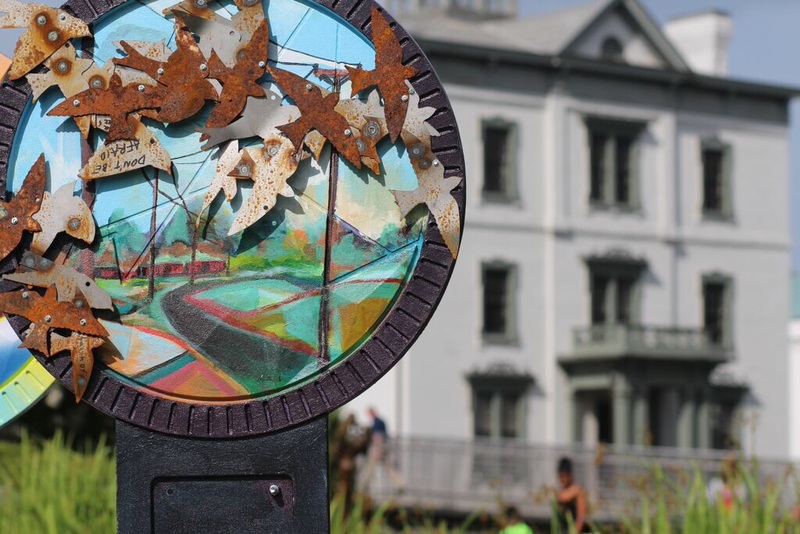 The Greater Richmond Chamber of Commerce unveiled the new bike rack toppers, which were cast locally and painted by local artists. Currently at the VMFA, this art will eventually come to a bike rack near you. 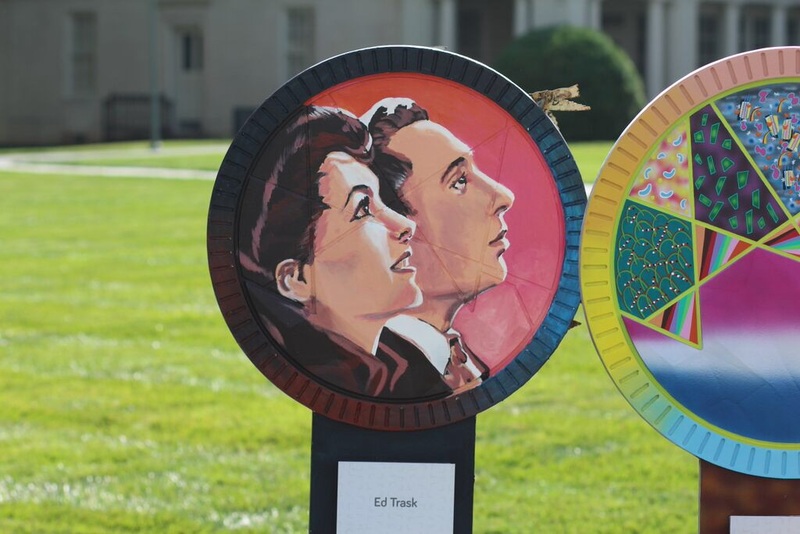 Last week, the Greater Richmond Chamber of Commerce unveiled a pretty rad new art exhibit at the VMFA: forged and painted bike rack toppers. I admit that this description sounds far less rad than the actual pieces of art, which were cast locally and then painted by local artists–you might recognize some of them from their mural work on your favorite bus depot. Over the summer, 30 new bike racks will pop up around town, each sporting one of these cool things which I will continue to call a “topper,” despite it being a 100% disappointing choice in words. Check out the pictures (photos by Trevor Dickerson) for a clearer, less disappointing look at what to expect in your neighborhood. 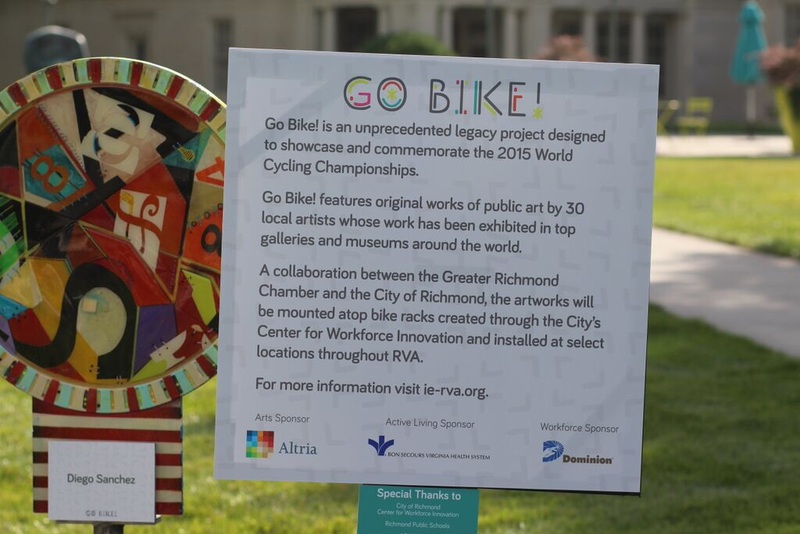 The Greater Richmond Chamber, in concert with the City of Richmond’s Center for Workforce Innovation, is pleased to announce the unveiling of an unprecedented art exhibit named “Go Bike!” at the VMFA. In this exhibit, thirty local world-class artists will display their artworks in one show. Go Bike! is a legacy project designed to showcase and commemorate the 2015 World Cycling Championship, and is part of the Greater Richmond Chamber’s placemaking efforts to position RVA as an artsy, progressive region that embraces an active lifestyle with the goal of attracting and retaining millennial talent. 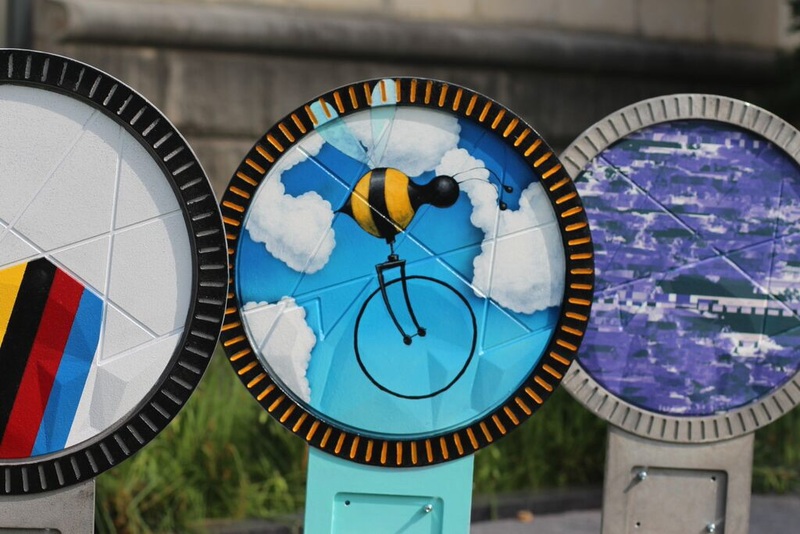 “Richmond will be on the world stage during Richmond 2015 and this is the perfect opportunity to seize the moment to showcase our creative talent to the world through the Go Bike! project,” said Chrystal Neal, vice president of creativity, innovation & entrepreneurism at the Greater Richmond Chamber. 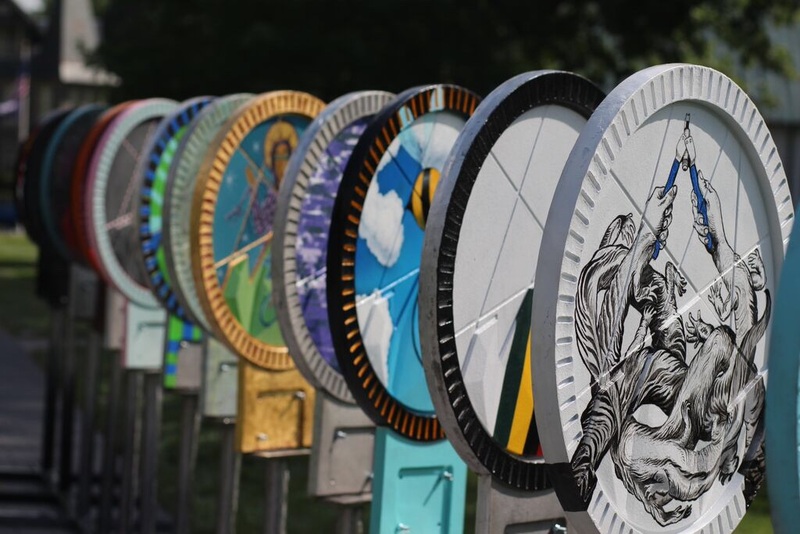 The shape of the artworks, cast locally at OK Foundry with patterns created locally by Tektonics, was selected as the result of a local design contest held last fall in which the public was invited to enter designs. From a pool of nearly eighty applications, John Sampson’s design was selected by a panel of independent judges. John is a VCU graphic design student and created his wheel-like ring design with 75 evenly spaced marks pointing inward to represent the 75 nations that will converge on RVA for the World Cycling Championships. 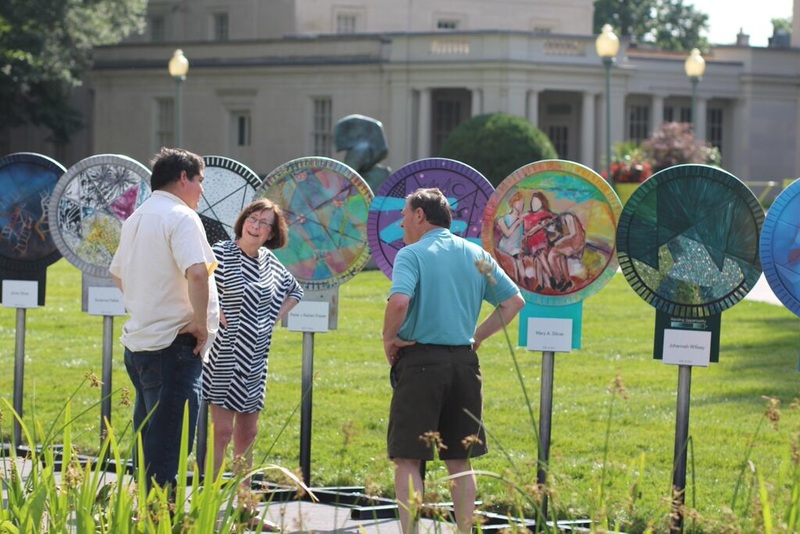 Following the exhibit, the artworks will be mounted atop thirty new bike racks to be installed throughout the city this summer. The City of Richmond’s Center for Workforce Innovation welding school is making the bike racks locally, through an innovative program designed to teach valuable welding skills to students, who upon graduation can earn an above average living wage. Ms. Neal had read about the City’s welding school in the Richmond Times-Dispatch, and contacted Jamison Manion, head of the program seeking to collaborate. “The city was thrilled to work with us to make the bike racks in its workforce welding program and to coordinate efforts to make this exciting project happen,” said Kim Scheeler, president & CEO of the Greater Richmond Chamber. Thanks to the financial support of three presenting sponsors, Altria, Dominion and Bon Secours, the Greater Richmond Chamber has been able to commission the thirty local artists to create original works of art, paying them a stipend for time and materials. “Supporting the arts and significant economic development efforts in Richmond are two big ways we invest locally. The Chamber’s Go Bike! project gave us an opportunity to do both at the same time,” said Charlie Agee, director of corporate contributions and community relations at Altria. Just in case anyone else was wondering: the “toppers” will be in the Robins Sculpture Garden at the VMFA until July 6th.